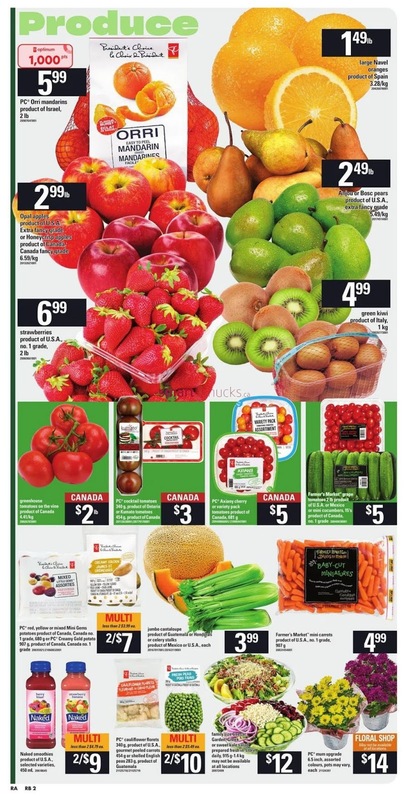 View latest Atlantic Superstore Flyers this week April 25 - May 1, 2019. Save money with this week's Atlantic Superstore specials, and sale flyers weekly. Atlantic Superstore is a supermarket chain that is in Canada consisting of fifty-four stores in the Maritimes Nova Scotia, New Brunswick, and Prince Edward Island. It is owned by George Weston Limited through Loblaw Companies Limited, and operates under the Atlantic Wholesalers Division of Loblaws. Lipton recipe soup mix, Knorr sidekicks side dish 56-166 g, maple leaf vienna sausage 113 g Catelli pasta 325-500 g, Maple leaf flakes of ham, Chicken or turkey 156 g or Vienna sausages 113 g, Select Varieties. 2 lb elementimes product of South Africa or Argentina each. Popular Search : Atlantic superstore flyer, loblaws flyer, fortinos flyer, canadian superstore, real canadian superstore flyer, real canadian superstore, sobeys flyer, pc points, super store, atlantic superstore, shoppers flyer, independent grocer flyer, sobeys flyers, superstore fort mcmurray, dairy queen canada coupons, atlantic superstore hours.